Medical marijuana seems an ever-present story in the news media right now, and for good reason. Throughout America, states are taking an increasingly liberal stance toward cannabis, permitting various degrees of medical and recreational access. Yet none of this would have been possible without the compelling scientific research, which is upending the shaky reasoning behind prohibition. 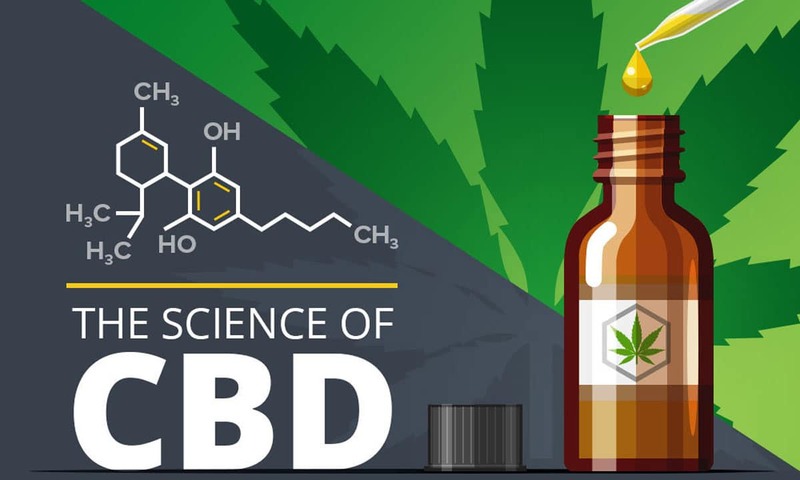 Isolating cannabinoids from the cannabis plant has paved the way for significant breakthroughs in cannabis science, and in the first part of the 21st century we have found out much about the main non-psychoactive component of the herb, cannabidiol (CBD). For instance, the discovery that CBD has anti-epileptic and anti-seizure properties has allowed for the development of natural cannabis oil, sans the psychoactive effects, which reduces brain excitation. While the therapeutic properties of psychoactive tetrahydrocannabinol (THC) are necessary for certain conditions, many patients can be effectively treated with low-THC, high-CBD oil – this is of great benefit for child epilepsy patients who do not respond well to pharmaceutical treatments. Further major medical advancements should be possible in the near future, with an increasing number of studies on CBD being carried out all over the world. In this post, we’ll investigate some of the most important research going on at the moment. Many people with anxiety sit and suffer in silence with their condition, too embarrassed to open up about the debilitating and frustrating effects of the illness. Anxiety can turn the brain into a prison, with relentless negative thinking leading to heightened self-consciousness, irrational fears, worst-case scenario thinking and more. However, a series of studies in the 2010s have demonstrated that CBD is an effective remedy for anxiety, with its calming influence on the brain working to reduce the over-signalling which is responsible for the rapid increase in thoughts. This is quite an ironic discovery, given the scare stories that have been churned out about mental health and cannabis use for decades. Nearly all of these cautionary tales stem from the supposed risks of THC, which is claimed to exacerbate anxiety due to its mind-altering effects. But these unhelpful reports discard the medicinal qualities of CBD. Italian researchers produced arguably the first major, focussed study on CBD and anxiety in 2011, when a set of treatment-naïve anxiety patients were given a strong dose of the compound before completing a simulated public speaking test. The results were ground-breaking, with CBD improving overall performance by limiting cognitive impairment, reducing alert in anticipatory speech and much more. The benefits from this are not just relevant for public speaking, but also for patients with social anxiety. In 2017, a study from Sao Paulo, Brazil, also confirmed the benefits of CBD for those with social anxiety, bringing together a collection of animal and human research. The scientists behind the study have now urged for more experiments to determine whether CBD can manage obsessive-compulsive disorder and panic attacks, and for an investigation into which dose offers the maximum anxiolytic effect. Some research has involved administering CBD in capsules, although the effects are slow to act with this method, which may not make it practical for all forms of anxiety. When faster relief is a necessity, it may be more effective to try CBD vape oil and e-liquid or hemp-derived CBD oil products instead. Absorption through the lungs and the sublingual glands is much speedier than when cannabinoids pass through the stomach. Researchers have so far found no cure for inflammatory bowel disease (IBD), a condition that affects the digestive symptoms and causes symptoms such as abdominal pain, diarrhea and rectal bleeding. According to 2015 estimates, more than 11 million people suffer from IBD, and the disease has been responsible for nearly 50,000 deaths worldwide. There are few treatments available for IBD, and these typically offer few benefits and decline in effectiveness over time. However, a review of studies looking into the impact that the endocannabinoid system (ECS) has on colitis has led to some interesting discoveries, which essentially advocate CBD treatment. The ECS contains cannabinoid receptors which are interacted with by endocannabinoids and phyto-cannabinoids (i.e. CBD, THC). It has been shown that stimulating these receptors can reduce the severity of murine colitis. With studies finding that not everybody makes enough endocannabinoids to ensure optimum ECS functioning, there may be great benefits to supplementing the systems with cannabinoids often – and especially a substance like CBD, that blocks the metabolic enzyme which breaks down the main endocannabinoid in the ECS, anandamide. Those who compiled the review cautioned that cases of IBD are rising, and that there should be an urgency to find new and effective treatments – the sustained therapeutic relief given by CBD gummy bears may be ideal. Depression science is finally making big strides again, with a compiling of brain scan research revealing that patients with the mood disorder experience physical changes to the brain, as a result of brain inflammation. This inflammation can be very detrimental – in addition to having long-term negative effects on mood, hippocampus damage for example seems to increase the risk of the memory-loss neurodegenerative disease Alzheimer’s. However, the effects of this brain inflammation can theoretically be treated with substances capable of neurogenesis – research on rats from 2015 found that CBD and cannabichromene (CBC) can do exactly that. A 2018 study on rodents found that neuronal circuitry dysfunction in the prefrontal cortex could be remedied by CBD, with treatment effective from the first dose, and remaining active for an entire week. Prefrontal cortex damage has been closely linked to depression, and this section of the brain is in charge of many aspects of personality development, as well as social behavior and decision-making. So far, depression medicine has focussed around addressing chemical imbalance, although it now appears that serotonin and dopamine issues are just part of the problem. Cannabinoids may be able to treat both imbalance and inflammation. There’s lots more to explore with cannabinoid science, as indicated by those studying IBD and depression – as we learn more about CBD and similar compounds, medical cannabis will surely advance even further into the mainstream. The American public has already changed its opinion on cannabis, with support rocketing up from less than 1 in 3 in the early 2000s to 60 percent by 2016.